We’re sure that everyone has fallen foul of one of the scourges of the modern world of internet connected devices. You’re browsing the internet, checking Twitter or posting to Instagram and all of a sudden nothing will work. When you go hunting through your device’s settings you notice that you’re connected to a random Wi-Fi access point that you don’t have credentials for, and your smartphone or tablet isn’t smart enough to realize it. Wouldn’t it be better if there was a quick and easy way to see which access point you are connected to at any time? Wouldn’t that save needless tapping when all you want to do is check on some Tweets? If you’re an iPhone or iPad user, you’re in luck. Wi-Fi Widget is a simple app that isn’t really an app at all, because as the name suggests the whole point of W-Fi Widget is to be just that, a widget. Remember those? Once installed, Wi-Fi Widget does a couple of things. 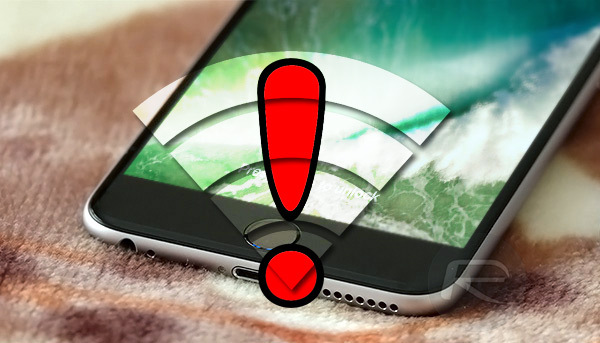 First, it provides an easy way to see which Wi-Fi access point you are connected to right from within Notification Center, anywhere on iOS, from Lock screen, from the left-most Home screen, and right from Home screen app icon using 3D Touch. That can be a huge deal if your device likes to latch onto the wrong access point every now and then. We know ours do. Second, Wi-Fi Widget offers a latency test right from within the widget which will go off and make sure that the access point you are connected to is functioning properly. Nobody wants to be connected to an access point that can’t actually push data, do they? A bonus third feature is that the widget can also show you the password for the access point you are currently connected to, so long as you have given the app those details beforehand. We’re not really sure about this if we are honest, because it does have the whiff of a security risk, but if you’re OK with that then this could be a time saver when handing your Wi-Fi credentials out to friends who come to visit. You may want to weigh the security implications of that up for yourselves, though. Wi-Fi Widget is small and lightweight and well worth the $0.99 asking price. Be quick though, because that price will go up to the usual $2.99 once the launch sale comes to a close! Wicarrier fullfills most of this functionality for nothing without opening notifications. This APP does not show the Access point name ( I was hopping for either Mac Address or LLDP host name ) . This app shows you the SSID that is being broadcasted from the Access point, and you have to click to get the Latency and this does not refresh either. You need to manually tap it 2 times to get a updated latency. For 1 buck why not. But if this goes back up, don’t wast your money. Sorry for what? Not having the “joy” of paying $2.99 for a feature that comes standard in our OS? Well, two features we have in our OS (seeing the SSID in the Notification Center and the automatic latency test, on Android called “avoid poor connection”). The third feature is just stupid and a huge security risk.